Having more square footage than one Big Agnes staffer's first Steamboat apartment, the Flying Diamond series of shelters are much more than standard tents. They are Everest base camp dining rooms, buttoned up Black Rock City roosts and Vedauwoo wind refuges. 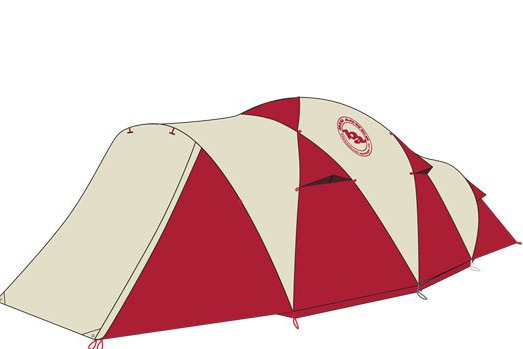 The Flying Diamond series is our biggest base camping design. Try one as an all-season two room condo with plenty of space to stretch out and relax or as a place to serve pancakes to the entire family. Coloration may vary NOTE: Due to this item's size/ weight, there will be extra fees if you select a faster shipping method than UPS Ground in which we we will contact you before shipping your item(s) with a shipping cost quote. Flying Diamond Series from Big Agnes on Vimeo.